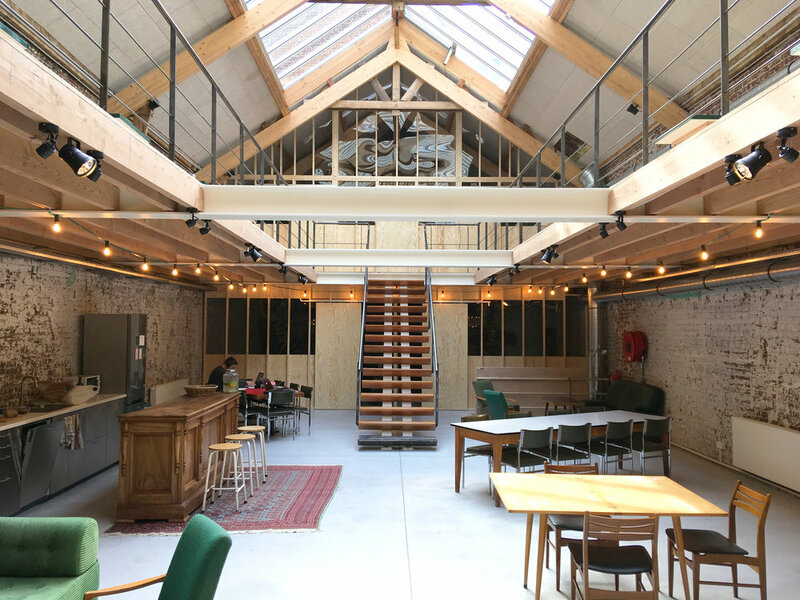 Palazzo IS AN OLD GARAGE-TURNED-GIANT-ATELIER IN ST-GILLES, BRUSSELS WITH 600M2 OF WORK SPACES AND SHARED AREAS FOR ARTISTS, ARTISANS, DESIGNERS AND ALL CREATIVE SORTS. A HYBRID PLACE THAT MEETS THE NEEDS OF CREATIVE PROFESSIONALS BY PROVIDING FLEXIBLE AND OPTIMAL SPACES FOR ARTISTIC CREATION, A COWORKING SERVICE (SO YOU DON'T HAVE TO DEAL WITH THE ANNOYING STUFF) AND ALL THE OPPORTUNITIES THAT ARE GENERATED BY WORKING ALONGSIDE OTHER INTERESTING PEOPLE. If you’re interested in Palazzo as a workspace and want to be a part of it, please fill in this form. Your application will be eagerly considered and the Palazzo team will get in touch shortly. We’d like to remind you that Palazzo reserves the right to choose its members in order to create a great group cohesion and ensure a richness of disciplines and personalities. Sign up with your email address to receive news , events and updates about Palazzo.